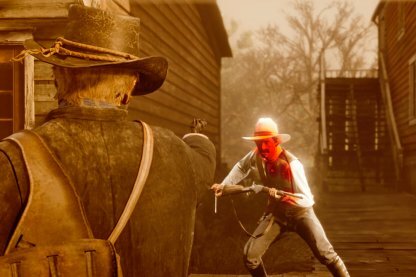 Find out more about Red Dead Redemption 2's iconic method of aiming - the Dead Eye. Slow time for accurate shots, mark targets, reveal fatal areas, & shoot multiple enemies at once! 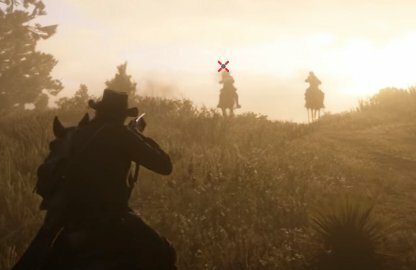 What Is The Dead Eye Targeting System? 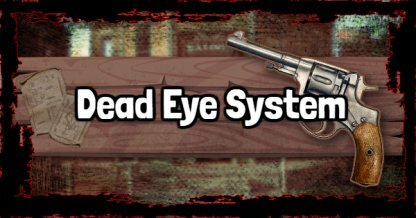 What Can The Dead Eye System Do? Check Out All Weapon List & Types! 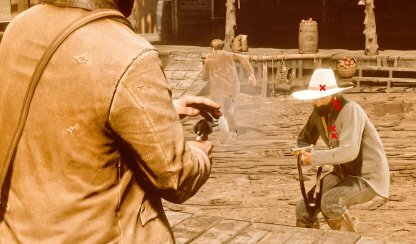 The Dead Eye System is the iconic way of aiming in the Red Dead Series, wherein you slow down time to pinpoint then shoot your targets with more accuracy & precision. Dead Eye can be triggered by pushing R3 while aiming with a ranged weapon. Mark your targets and loose your guns automatically on the marked points. Dead Eye can only be used for a limited amount of time. 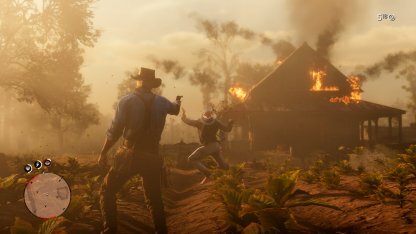 The amount of time you can use Dead Eye will recover with kills over time, or can be refilled instantly by using Tonics, Chew Tobacco and other items. This unique mode of aiming can be used with ranged weapons such as guns & throwables, making the gameplay much more unique & personalized. 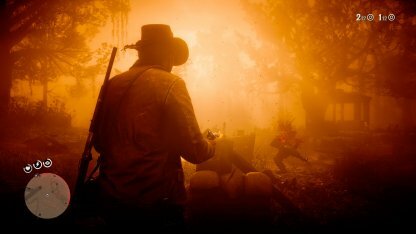 When Dead Eye is activated, it slows down time so that players won't miss their targets and make their shots more accurately. When time is slowed down, you can manually or automatically mark your targets. When the normal passage of time resumes, the bullets would have left the gun & met their marks. Your Dead Eye will eventually grow & expand within the game. It will be able to mark multiple targets & shoot them at once. This is extremely useful when facing multiple opponents. This mode will also eventually be able to reveal weak & fatal spots within a target's body so that you can deal deadlier damage.This includes heart, lungs, and even private areas! The Dead Eye is consumed over time and you can refill it during combat by shooting enemies or consuming items.